Known to many, there is a recent judgment of the CJEU confirming that, if likelihood of confusion exists in only part of the EU, the EUTM is not infringed in the other part – which must be exempted from an injunction. Less known to most, there is a pending reference to the Court of Justice, again on the unitary character of the EUTM, namely, dealing with the effect of long-standing peaceful coexistence between the marks in part of the EU (UK and Ireland) on the exclusive right. On 22 September 2016 (C-223/25, combit Software4 v. Commit Business), the CJEU confirmed that an infringement could not be found if the defendant’s mark was likely to cause confusion with an EUTM in some, but not in other parts of the EU. 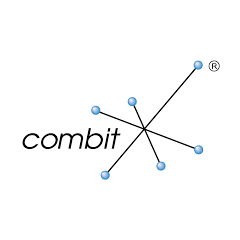 The referring court (Higher Regional Court Düsseldorf) had found that, whilst Germans might be confused by the similarities between “combit” and “Commit”, both in the IT field, English-speaking consumers would not be confused as they would immediately notice the conceptual differences. In this situation, the CJEU first confirmed that the infringement could not be ruled out altogether solely because there was no confusion in parts of the EU, and then, that the national court could not grant a Union-wide injunction but had to exempt those parts of the EU where there was no likelihood of confusion. Neither statement was surprising in view of the previous findings in DHL v. Chronopost (C-235/09 of 12 April 2011). With the body of case law on the necessary differentiation based on differing consumer perceptions in the EU ever growing, however, the CJEU made a welcome remark in para. 32 of the judgment: exceptions should only be found (or examined, for starters) based on information brought before the court by the defendant. If the defendant does not argue that a likelihood of confusion found to exist in parts of the EU is absent in others, and why, the Court should not dissect the EU of its own motion. Also, the parts of the EU for which no confusion is found must be absolutely clear from the injunctive order. “English-speaking” would not comply with that (para. 34). The new case before the CJEU (pending before the CJEU under C‑93/16 The Irish Dairy Board v. Tindal & Stanton) is a reference from the Audiencia Provincial in Alicante, Spain (acting as second instance EUTM court), lodged on 15 February 2016. It concerns the impact of long-standing coexistence between two marks in a part of the EU on likelihood of confusion or dilution in the EU as a whole. 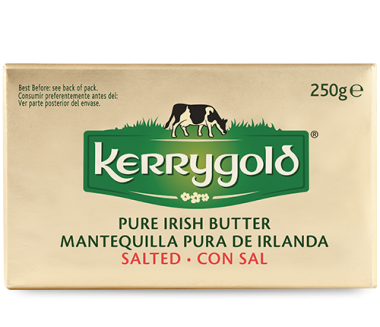 The lower court had denied infringement of the reputed EUTM KERRYGOLD for dairy products through use of the mark KERRYMAID for margarine, essentially because the marks had coexisted peacefully over decades in Ireland and the UK. It felt compelled to do so because of the unitary effect of the EUTM. The plaintiff appealed, arguing that it was incorrect to judge infringement solely from the perspective of the consumers in a confined part of the EU – namely, Ireland and the UK. The Audiencia Provincial asked the CJEU whether the absence of likelihood of confusion in two Member States had to be extended to other Member States or the EU as a whole, because of the necessary unitary treatment of the EUTM. It further asked whether there was “due cause” within the meaning of article 9(2)(c) EUTMR when the owner of the EUTM had tolerated the coexistence in two Member States “for a certain number of years”, again based on the unitary treatment of the EUTM. With a view to the judgments in combit and DHL, the answer to this should be that absence (or presence) of likelihood of confusion in one part of the EU does not necessarily mean the same for the remainder. As regards due cause, whether the tolerance of a later mark means that its owner could trust it to be tolerated everywhere depends on the circumstances. But one cannot simply assume that tolerance in two EU countries per se results in loss of rights in the entire Union. We will watch with interest.